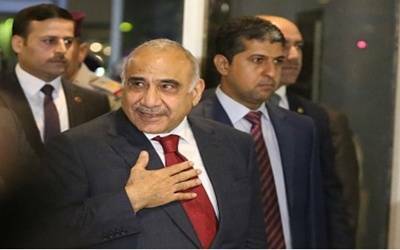 Baghdad, Jan 11 (IANS) Iraqi Prime Minister Adel Abdul Mahdi met with visiting Iranian Minister of Petroleum Bijan Zanganeh over further cooperation in the sectors of oil and energy. According to a statement by Iraqi Prime Minister’s office, Mahdi on Thursday hailed the relations between the two neighbouring countries to serve the interests of both peoples, Xinhua reported. Zanganeh and his delegation arrived in Iraq’s capital Baghdad on Thursday morning, a day after US Secretary of State Mike Pompeo’s visit to Iraq.